January 23, 2019, 9:53 a.m.
Gillette’s newest advert, ‘The Best Men Can Be’, unleashed a wave of both positive and negative responses from the public and the media. In the two minute advert, Gillette joins a movement of brands evoking social issues by calling upon men to stand up to bullying and harassment and be an example to younger generations. I’ve discussed how effective it can be for brands to comment on societal issues after Nike’s collaboration with celebrities such as Colin Kaepernick. But was this the right move for Gillette? YouGov BrandIndex data shows that since the video’s release, although there has been a drop in Gillette’s net Buzz (signifying an increase in negative noise about the brand throughout the nation) there has also been an increase in positive noise. In the past week, 10% of the nation have heard something negative about Gillette however 10% had also heard something positive, suggesting this noise could just be press coverage rather than advert perception itself. However, when looking at Purchase Intent Scores (which brand is someone’s first choice to purchase from) the story changes and seems to suggest a positive impact. 7% of the nation named Gillette as their first choice for future health and beauty purchases – the highest in five months. 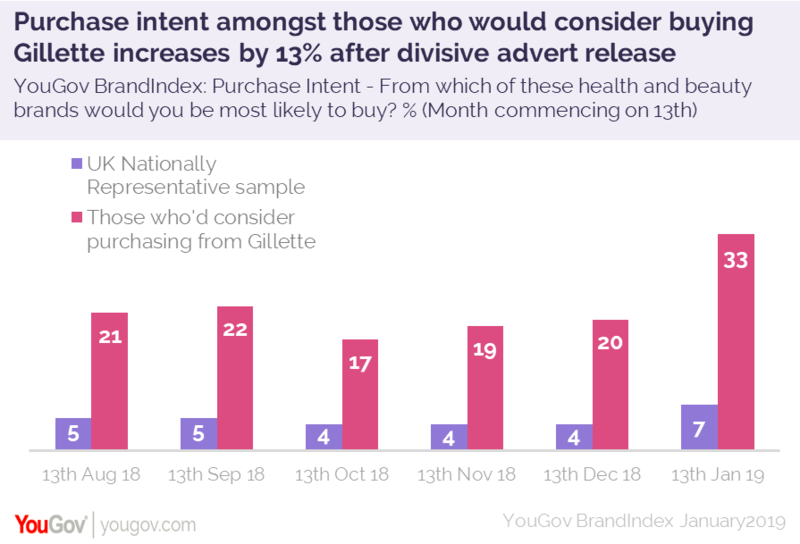 Since the advert aired, a third (33%) of those who would consider buying Gillette selected the brand as their first choice, 13% points more than in December. 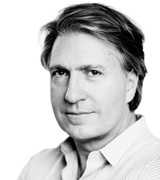 These findings are also supported by YouGov Profiles data on whether consumers support brands getting involved in societal issues; 31% of those who would consider purchasing Gillette tend to support involvement compared to 29% of a nationally representative sample, with more tending to disagree (26%). These results suggest that while Gillette’s advert isn’t quite the well-executed marketing move Nike made with Kaepernick, it’s not quite the media flop that some press and twitter users are suggesting. Data gathered using YouGov BrandIndex and YouGov Profiles.